"My schooling is fine. " I am from Passamas Vllage. 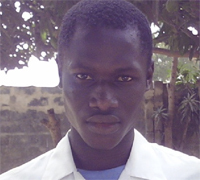 I attended Foday Kunda B.C.S. Now am transferred to Sukuta U.B.S. I am in grade 8. I love the sponsor, it is important to me. My schooling is fine.